Let the culinary artistry of Executive Chef Bernard Guillas and his team take you on a global journey that will excite the senses. This 20-year collaboration of gastronomic excellence brings exotic influences rooted in the French classics to each of their seasonal offerings, and menus as dramatic and memorable as the restaurant's oceanfront setting. Along with a team of seasoned tastemakers, these famed San Diego chefs have been pleasantly critiqued for their cutting-edge techniques, self-expression, and world-class devotion to fresh seafood, hand-picked local ingredients, and award-winning desserts. Their elevated spin on global ingredients served in an elegant art presentation makes the Marine Room's cuisine second to none. 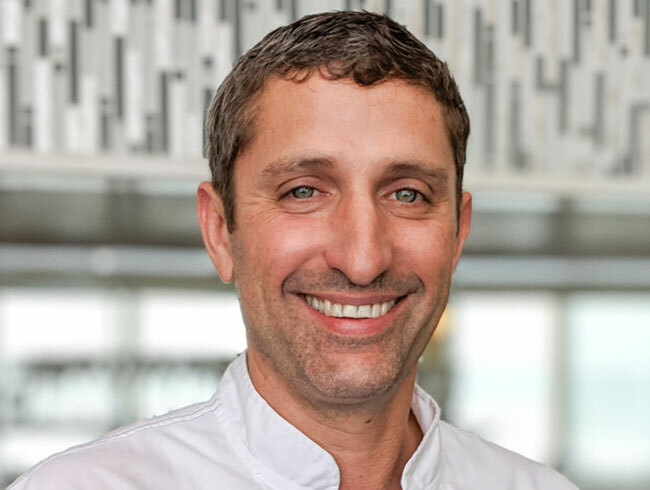 Maître Cuisiniers de France and award-winning chef Bernard Guillas joined La Jolla Beach & Tennis Club, Inc. as Executive Chef for The Marine Room in June 1994. 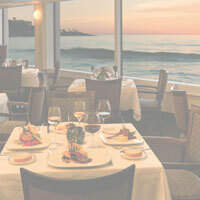 Guillas is also responsible for directing the resort's other two restaurants, including The Shores Restaurant and catering operations for the La Jolla Beach & Tennis Club and La Jolla Shores Hotel. Right at home in La Jolla, Guillas' affinity for the coastal lifestyle reminded him of his home in Brittany. Classically trained in French cuisine, Guillas oversees all menus, wine lists, and special events on property. Chef Bernard Guillas has received several local, national and international awards including his Induction into the Academie Culinaire de France in 2018, Best Executive Chef and Editors Pick for Chef Extraordinaire from Ranch & Coast Magazine in 2017 and 2018. Chef Thomas Connolly has brought his extensive experience and passion to The Marine Room's culinary team as Chef de Cuisine in October, 2018. Originally from Boston, his culinary training began while he was in high school, working in a busy seafood house. Even while cleaning pots, pans and scrubbing the hot fryers, Tom began to hear the call of a lifelong career in the kitchen. As he made his way out of dishwashing and onto the hot line, he quickly learned to embrace the orchestrated chaos of restaurant life. While his love of kitchen life continued to grow, Tom moved on to a position with the Hyatt Harborside in Boston, where he was able to begin to fine tune his culinary skills and learn more about what he calls the "focused side of cuisine". Tom moved out west to San Diego where he worked in a number of restaurants, including The Kensington Grill, Chive and Lila's. While working under the leadership of Chefs Hanis Cavin and Henry Freidank, Chef Connolly learned a great deal about the San Diego restaurant scene that would bring him back years later. Before leaving Southern California, Tom also experienced a short stint at Lila's Restaurant in La Jolla prior to its closing. It was the work he did in that short amount of time that inspired Tom more than anything else in his career. He describes his time there as his "first true experience with utilizing fresh local, seasonal products. Chef Dancer's focus and flavor combinations changed the way I was to look at food from then on." Chef Connolly headed north to San Francisco at the end of 2000 to join the Moana Restaurant Group and run the kitchen at Paragon Restaurant. Another pivotal point his career, Chef describes his experience in the Bay Area as formative in the creation of his own personal cooking style: "Working side by side with renowned chefs like Maximilian DiMare and Spencer O'Meara, I began my own creative process. Through diligence and hard work I began to notice more opportunities opening up. I was offered advancement within Moana, to spearhead the opening of the newest Paragon in San Jose's historic Hotel Montgomery as opening Executive Chef." With Tom at the helm, Paragon San Jose earned the title of "Best New Restaurant of San Jose". Constantly working to improve and hone his culinary repertoire, Chef then moved to the Island of Kauai, at the Plantation Gardens Restaurant, where he learned to fuse Asian flavors with European technique; experience that further influenced his personal culinary style. Tom moved to the Pacific Northwest to take on the role of Executive Chef at Piatti Restaurant in Seattle, WA. He says that "it was here that I set out to make direct relationships with the local farmers. I developed a farm-to-table menu, constructed from local ingredients, sourced at local farmer's markets, as well as from a small greenhouse I constructed within the restaurant." Finally back in his adopted home of San Diego, Tom brought the knowledge accumulated from his diverse culinary background into the kitchen at Stone World Bistro & Gardens. During his 4 years, he transformed thebeer-centricStone Brewing Co. into a culinary destination. Elevating the traditional ‘bar food' mentality into fine dining fare for upwards of 2000 diners per day. 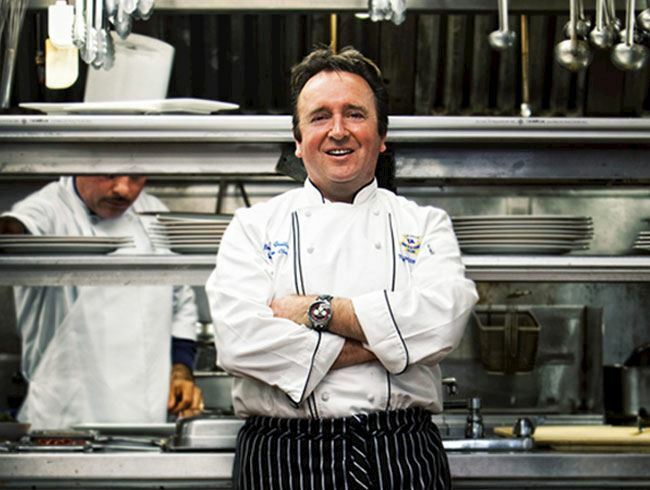 Chef Connolly has also been hard at work giving back to local and national charities; American Liver Foundation, Cystic Fibrosis Foundation and The Ronald McDonald House. Matt Caponi brings with him a high level of professionalism and expertise as he celebrates 11 years with the Marine Room team. He oversees food and beverage for both The Marine Room and La Jolla Beach & Tennis Club with nearly 20 years of experience. Caponi's passion for the restaurant industry grew while he worked as a bartender and server at many restaurants throughout his schooling. Matt has completed and passed his Level 1 certification from the Court of Master Sommeliers and plans to one day take the Certified Sommelier exam. 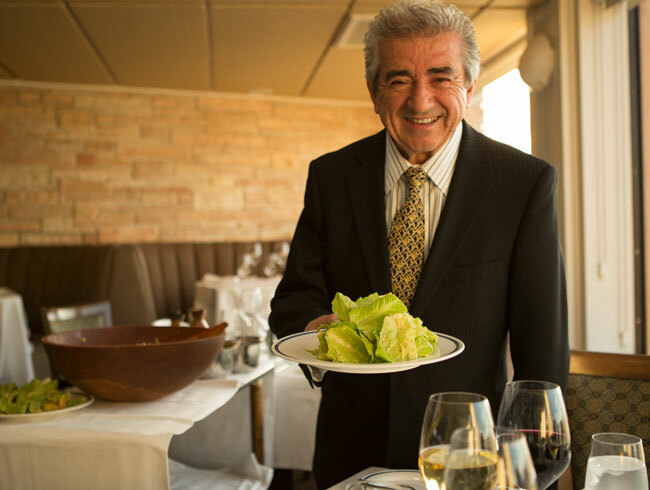 For more than 17 years Dimitrios "Dimi" Papadopoulos' has been an essential component of The Marine Room experience, bringing a warm and inviting demeanor to elegant dining. Papadopoulos has dedicated his life to providing superior customer service and has worked all over the world including Athens, Paris, and New York. 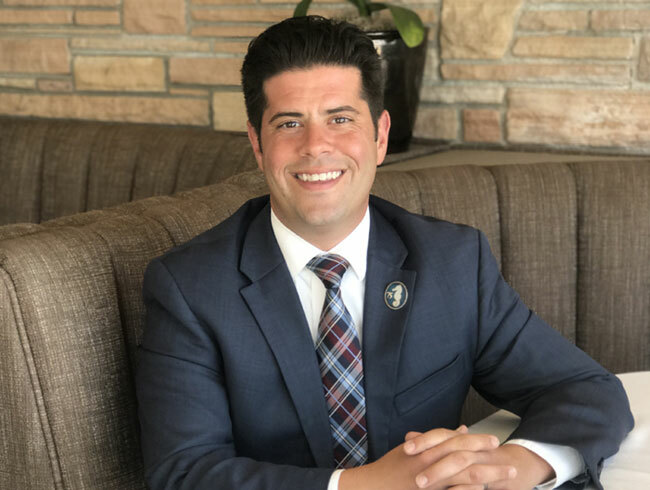 Dimi was recognized by his peers in June 2013 when he was awarded the Gold Medallion for Front of House Excellence by the California Restaurant Association San Diego County chapter. To many regular guests, Dimi is like family.